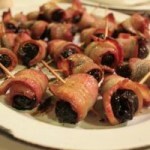 Bacon Wrapped Prunes is a Venezuelan food recipe called Ojos de Buey. 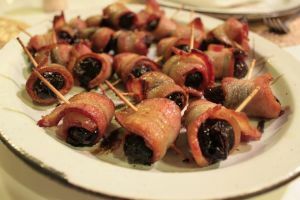 Wrap each prune with one of the pieces of bacon. Thread three of the wrapped prunes onto each skewer. Arrange the skewers on a baking sheet.